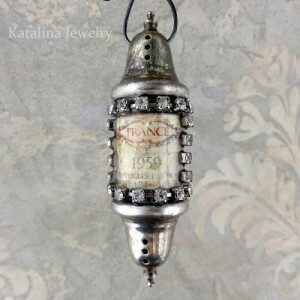 I totally love this necklace made by Katalina jewelry. It looks like it would cost a lot and yet she made it from thrift store items. She took a couple cheapy items from the thrift store and a whole lot of imagination and turned it into something beautiful. I only wish I had half the creativity.